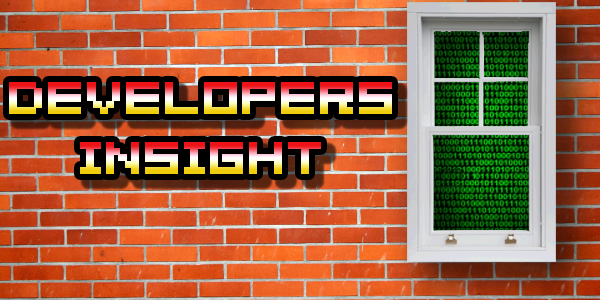 Cargo Commander is an indie PC game from developers Serious Brew, and it’s Serious Brew who feature in this episode of Developers Insight. I talk to Maarten Brouwer the teams programmer and artist Daniel Ernst. Daniel: I think it all started when I was around 4 and I started playing on the Atari 6400.My parents always motivated me to play games. They are actually gamers themselves! A couple of years later I started reading Nintendo power magazine and making maps of the game screens with my brother, drawing all of the items and enemies. Ah those were magical weekends. After that I was consumed by the Duke Nukem editor moving up to the Unreal Editor. After highschool I wend to college to study game design and development(where I teach art class on Fridays nowadays). I started working hard on my art portfolio in the hopes I could an internship at Triumph Studios where I got my first game job as an FX artist working on Overlord 1. After I graduated I got a job as an FX artist and concept artist on Overlord 2. And since April last year Maarten and I founded Cargo Commander. I think the little Daniel from way back when would be pretty proud of me now! Maarten: I have been making card, board and computer games as long as I can remember. After I completed my master’s degree in AI, I briefly tried to get into the professional game industry, but at the time it was practically non-existent in the Netherlands, so I became programmer of web applications. After six years, I got really bored and decided to quit my job and make a final attempt to get into games before I would be thirty. With a bit of luck I landed in Triumph Studios as level designer during the Overlord I crunch, one week before my birthday! Maarten: Develop games! With the current range of free/cheap game engines and software, there’s no excuse to just start practising. Don’t expect to create a masterpiece with your first try, just experiment and learn. Also remember: making a good game is not about getting one great idea, it’s about the complete process of game creation. Ask yourself what kind of developer do you want to be. Do you want a specialist job or do you want to be an allrounder? If you want to be a specialist, specialise. If you want to be an allrounder try to absorb as much knowledge as possible. One option is not better then the other, it’s just a different choice with a different focus. If you are still in game design college, do a lot of side projects. All of your fellow students will also put their school assignments in their portfolio. If your portfolio only contains school projects companies will be able to tell what school you are from by looking at the contents of your portfolio. You will stand out if they can see making games is not just work it’s a passion. Get a good internship and learn from seniors! You will most likely learn more in 6 months of internship then you will in 4 years of school. Don’t take short cuts. Learn how to draw. If you know how to use Photoshop it does not show you can draw. Drawing on paper with a pencil does. I came across a lot of beginning artist who know how the Photoshop colour sliders and blending modes work but they don’t know how color really work. Most importantly work harder but keep things fun. Maarten: Determination (if that’s a skill). Daniel: Being able to think from the players point of view. Daniel: Unity. It’s a versatile easy-to-pick-up game engine. And it’s extremely well documented. I’m an artist and I learned how to script in Unity. That says enough.If you want to be a specialist you should learn your field of expertise and apply it to UDK. Maarten: Unity Free or Game Maker; you don’t need a fancy engine to learn the core of game development. Q) How did you come up with the basic idea for Cargo Commander? Daniel: A little sketch in a tram. I was trying to figure ways out to make things look big with a small amount of work. I was working on some pet projects next to my job at Triumph. So I was trying to come up with a way of combining those two. Then I came up with a guy living in a container in space attracting other containers and spoiling his quiet day in space. Q) What engine did you use for Cargo Commander? Daniel: 3dsMAX, Photoshop and of course knowledge of game creation. Daniel: None really. Only thing I can come up with is that it’s hard to keep your folder hierarchy neat in conjunction with unity. Daniel: Use the tag system and search options to find files instead of rearranging all of the files. Maarten: Script your way around. Q) How long did it take you to make Cargo Commander? Maarten: About 14 months; 2 to get a working prototype of all core gameplay, the rest to ‘just finish it’. Maarten: Anywhere! It would be boring if we would know what’s in store for us. I hope that there still will be room for smaller/creative/experimental developers in the future. And I hope that games will grow up a bit more, that more games are about meaningful experiences rather than of shooting guys through the head. Daniel: I’m a firm believer of cloud gaming and VR gaming. I’m 3D OBSESSED so I’m kinda biased with the VR movement. Can’t wait till I can get my hands on an Oculus (one month left AAAAAH!). Cloud gaming could solve a lot of problems. For example instead of having to own individual consoles you could get one box that gives you access to a Nintendo channel, Sony Channel or developers’ channels. No need for them to produce costly hardware anymore.